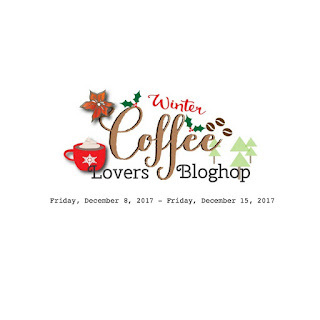 Well, it's almost the very end of the day but I managed to get one more card made for the Winter Coffee Lover's blog hop! It has been a lot of fun as always and I will look forward to the next hop. One of these days I'll be more on the ball and get all the cards made I had planned for! 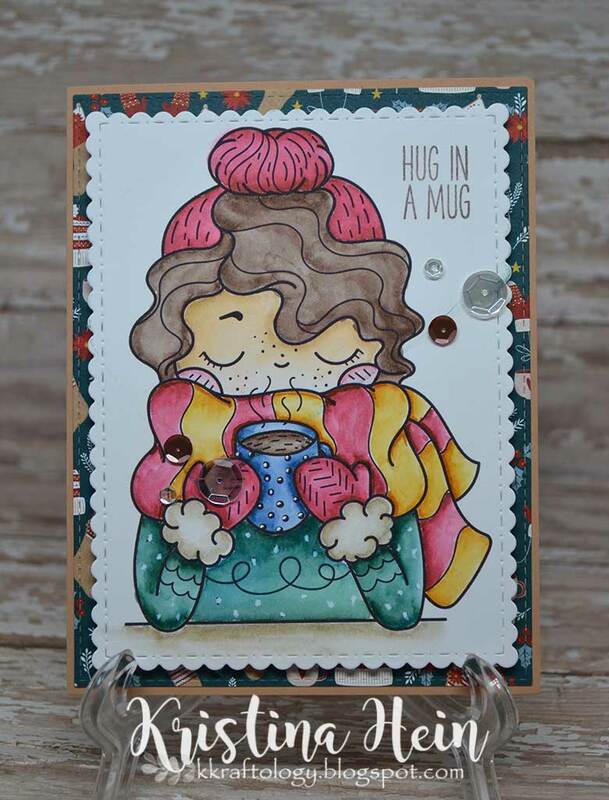 This lovely image is a digital stamp from Le Petite Market. You can find here on Etsy here. I'm not going to lie. I own almost all of her digital stamps. Yep. I have a slight addiction to their cuteness. I encourage you to go check out her store! My card is pretty simple this evening as I let the image take center stage. I printed it out on Bristol smooth paper and colored it with Zig Clean Color real brush markers and a water brush. I added Wink of Stella to her cheeks and the mitten cuffs. 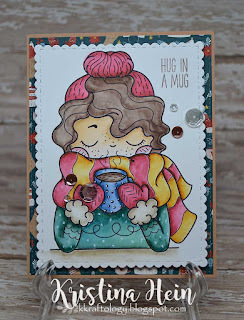 I added the sentiment and cut out the image with my favorite die from Craftin Desert Divas. I mounted it with foam tape on to some more super cute paper from Bo Bunny. I think this is the Fa La La collection. Both layers were glued onto a card base. It is one of my last few sheets of Stampin Up! Creamy Carmel cardstock. I had a little crafing incident on my desk shortly after completing this card. I was working on another card when I bumped this one. It fell, face first, into an open dark green ink pad. Yep, that was not fun at all. When I picked it up I saw only a few major boo boos. See those sequins?? They cover up the worst of it. I also used my Signo white gel pen. I think I managed to hide it pretty well! Cute image and great card. Your coloring is beautiful. oh so cute. the image is darling and I love your coloring. Great image with sweet coloring! How sweet, love your coloring! Cute image. Great job coloring. Beautiful coloring and I love this image! !